We think that every day is a good day for a sale! Check out our Monthly Specials page on our web site for great deals on a wide assortment of our products. Choose from a selection of accessories, wall decor and furniture, including many customer favorites. Save up to 50% off our regular prices on many items. We are always adding new products on our Monthly Specials page. 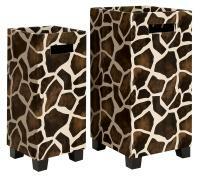 Check it out at http://www.cheapchicdecor.com/ .